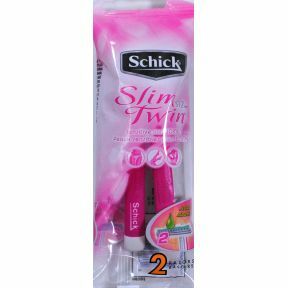 2 travel size twin blade disposable razors with aloe for shaving. Sensitive for Women. Protective cap over razors.